California Ska – Ska 4U! Buster the Ska Doggie was born on July 4th, 2008 when The Uptones released their epic Skankin' Foolz Unite! album. Jesse Michaels drew Buster for the record cover and Buster leaped off of it and started dancing around. Before long Buster had amassed a massive collection of ska records and friends and has been to every single ska show on earth, usually attending at least 100 around the world, all at the same time. Don't ask how he does it. Buster blogs at ska4u.com and you also can find him on FB and Twitter. W00f! I wanna buy some SKA! San Jose’s MONKEY – 18 Years And Skanking! 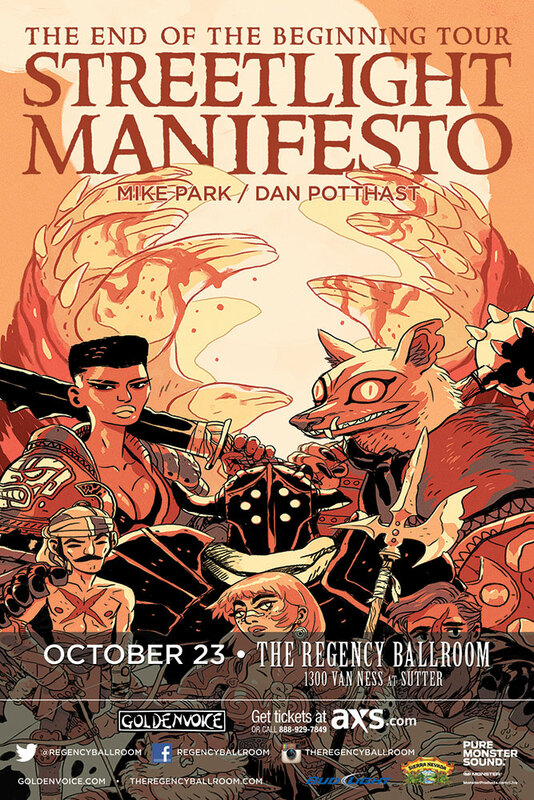 Oct 23, Streetlight Manifesto plus Don Potthast and Mike Park! In SF! OMG. What a great lineup! Streetlight Manifesto, Mike Park, and Don Potthast all on the same bill. It’s almost too much for a ska doggie to fathom. Come out and skank to the beat. Two paws up. Way up. Buster the Ska Doggie has been barking about Ska since 2008. Sometimes he wanders off. Luckily he has friends who keep skanking! Proudly powered by WordPress, Ska, and kibble.